Noodles, beyond any other food group has the richest history and diversity. One can tell plenty of dish’s origin by simply reading its name as long as it involves a noodle of some sort. I am, by no means, an expert on noodles – especially so when it comes to western pastas. BUT, to be honest, if your food memories have been pickled since childhood in Taiwanese gastro-culture, you probably know a thing or two about an iconic bowl of #saucyasiannoodles. Now, as I’ve mentioned, noodles are very revealing. Just as how table manners of a kid will show you the discipline of the parent, a humble bowl of noodles will tell you the style of its cook, and maybe get even more personal. This recipe here, please don’t smash it to bits, because it got me through freshman year. It’s unpretentious, but it insists on keeping the details. It’s cheap, but not so it should apologize. And it’s so damn delicious it will fix all of your problems. That’s just me though, so I have no idea what this bowl of noodles will say to you. to distinguish good from evil. 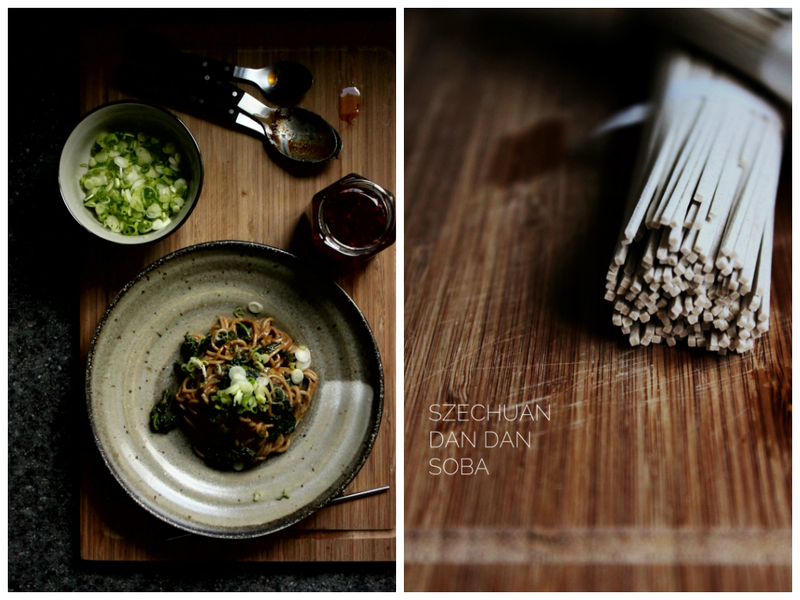 To make the dan dan soba, bring a large pot of water to the boil. Meanwhile, combine the sesame paste, peanut butter, sugar, soy sauce, sesame oil, and Szechuan chili in a bowl and stir well. Once the water is boiling, blanch the kale until wilted and lift them out to drain, then squeeze out any excess moisture. Separate the kale leaves and put them in a large bowl. Add the sauce on top. Enjoy with a cup of hot green tea!